Campus security has the primary purpose of protecting life and property, preventing crime and preserving peace and order. Campus security officers are present on the main campus from 24 hours a day, all year long. At all off- campus sites, the Extension Center Director should receive safety and security related reports. Campus security officers are present to enforce college regulations and should receive the full cooperation of each student and staff member in carrying out such responsibilities. Security officers are authorized to receive and act upon reports of possible violations, to request student information at any time, to write citations for parking violations, to remove non-students from campus when necessary, to coordinate efforts with local and state law enforcement officers and to assist students and staff in whatever way possible. Security personnel patrol parking lots and buildings on a regular basis. 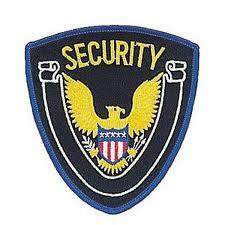 Any crime or suspected undesirable activity should be reported at once to the security officer by calling ext. 3232 and/or by contacting the Information Desk. Emergencies, accidents and student behavioral problems should also be reported to the Dean of Student Services on the main campus or the off-campus director immediately. The security officer or authorized personnel will be responsible for taking any required action and for notifying off-campus emergency and law enforcement officials as necessary. SCC will monitor and cooperate with law enforcement agencies in an effort to keep students and employees appraised of reportable crimes and arrests which occur in the college environment. Campus crime statistics will be made available to all students, employees and the college community, as well as to prospective students and employees, upon request.